The tour will be hitting the American Airlines Center on Sept. 1. Tickets go on sale to the general public starting Nov. 10 at LiveNation.com. LOS ANGELES – The Backstreet Boys announced their biggest arena tour in 18 years along with the release of their new album “DNA,” coming out Jan. 25. The tour will be hitting the American Airlines Center in Sept. Tickets go on sale to the general public starting Nov. 10 at LiveNation.com. 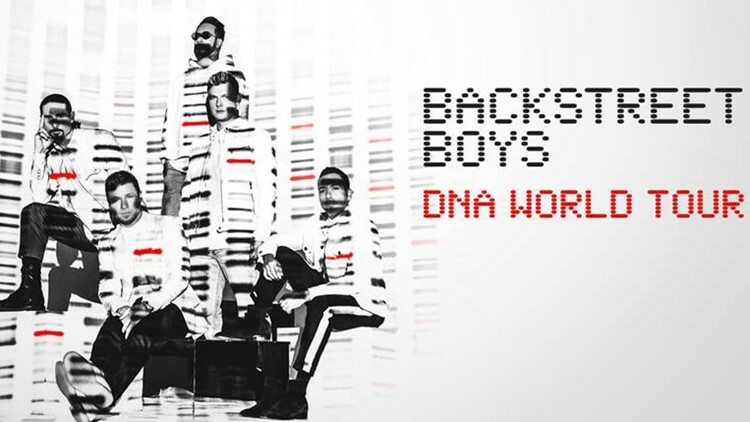 Beginning on May 11, the group will set off on the DNA World Tour - their biggest arena tour in 18 years. Produced by Live Nation, the guys will perform all over Europe and North America over the course of three months, headlining venues including Capital One Arena in Washington, D.C., United Center in Chicago, the O2 Arena in London, and many more.